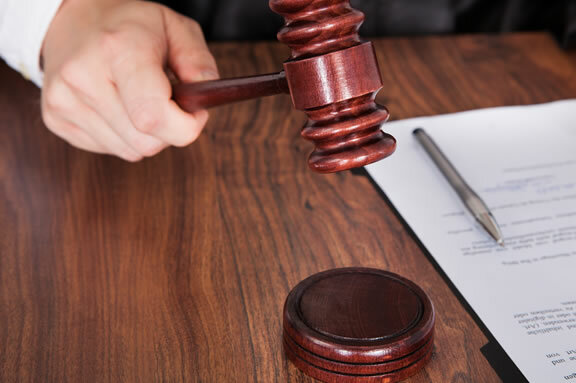 A judgment is a determination by a court of the rights and liabilities of the parties to a lawsuit, such as the amount of money one party owes to the other. A judgment though is much more than just a decision because it is enforceable, which means that it allows the party that received the judgment in its favor to take action on the judgment to enforce it against the other party. If it is a judgment for an amount of money, the party that is owed the money (known as the judgment creditor) has legal weapons available to try to collect the money from the other party (known as the judgment debtor), such as by restraining the bank account of the judgment debtor or conducting an investigation and issuing subpoenas to try to find available assets of the judgment debtor. There are occasions where a judgment can be challenged successfully by a judgment debtor and vacated by a court, such as when the lawsuit was not properly served on the judgment debtor or the judgment debtor was not given the opportunity to show that it had meritorious defenses to the claims of the judgment creditor. Effectively enforcing a judgment or defending against a judgment often requires investigation, persistence, planning, knowledge of the available legal tools and resources and utilization of sometimes sophisticated legal and litigation strategies. If you need help evaluating your judgment rights, or enforcing or defending against a judgment for or against you or your business, please contact Larry Sass, an experienced business attorney and litigator.